Maier, who helped launch the Cayenne, is Porsche's new sales and marketing head. 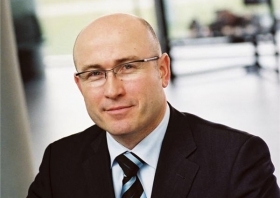 Former BMW sales executive Bernhard Maier is Porsche's new head of sales and marketing, replacing Klaus Berning. Porsche said in a statement Monday that Berning was leaving at his own request. A spokesman said the departure was amicable for both sides. The German news magazine Der Spiegel reported on Saturday that Berning fell out with Porsche CEO Michael Macht and key labor representatives, in part due to poor vehicle sales. Porsche, which is 49 percent owned by Volkswagen AG, declined to comment on the report. Porsche's volumes fell 24 percent to 75,238 units in the fiscal year to end-July. They slid a further 1.7 percent to 33,670 in the first half. Maier, 50, joined Porsche in June 2001, managing its domestic sales subsidiary and went on to successfully launch in the German market the Cayenne offroader in 2002 and the Panamera four-seater last year. After training as a mechanic and studying business economics, Maier, a German native, joined the IT company Nixdorf, before moving in 1998 to BMW's marketing and sales department where he held management roles in Germany and abroad.